Kerastraight Brazilian Hair Smoothing In Elm Park | Hair Design Co. 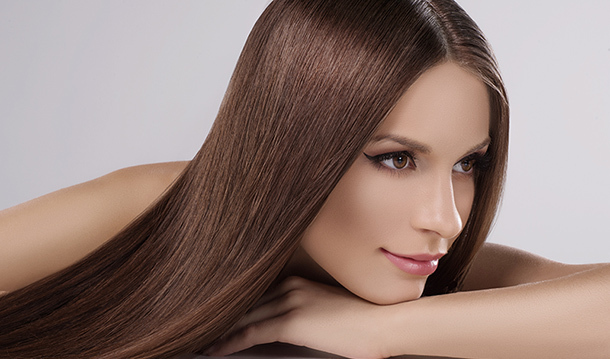 Hair Design Co. offers you a brilliant, long lasting and very effective hair Smoothing service developed by the specialist hair experts at KeraStraight. This unique treatment leaves your hair glossy and full of body and bounce but eliminates frizz. The treatment lasts up to 4 months and can be coloured and cut into any style you desire... KeraStraight brings new life to your hair even after years of damage. KS Complex Treatment is KeraStraight's original protein based straightening and repair treatment, designed for normal, wavy, unruly, and damaged hair. This hair treatment now has 33% more power, KS Complex is faster to work with and provides the ultimate shine and repair. Intense Boost from KeraStraight is an exciting new and revolutionary treatment which will delight everyone. Intense Boost utilises KeraStraight's latest advanced Protein Mask with an additional. Moisture Mask which has been designed to completely smooth and renew hair. A complimentary moisture mask to compliment your KeraStright Treatment. Colour Protect by KeraStraight has been designed as the solution for your very weak and fragile, platinum blonde and white, and highly coloured and porous hair. Prices dependent on hair length and thickness. Average treatment time is 3 hours.